Training staff is vital for any business, however it can be costly and time consuming. 100% Effective have developed the perfect solution. For an annual fee you can provide every member of your staff with access to state or the art, engaging, interactive online training. Each eLearning course provides full certification (exams + certificates). With 35+ courses to choose from, covering management development, change management, business improvement and personal development. You can provide training to all of your staff either on your own system or use ours with no hassle and for a very low cost. You can choose the courses you wish to offer your staff. Your staff have unlimited use of the courses for 1 year enabling you to offer state of the art online learning for a very low price. Unlimited use – During the 12 months, you can train UNLIMITED users UNLIMITED times on each course. Learn, recap, learn again – Remind yourself of your new skills with UNLIMITED access to each course. Certification – Each course includes certification to prove knowledge and completion. 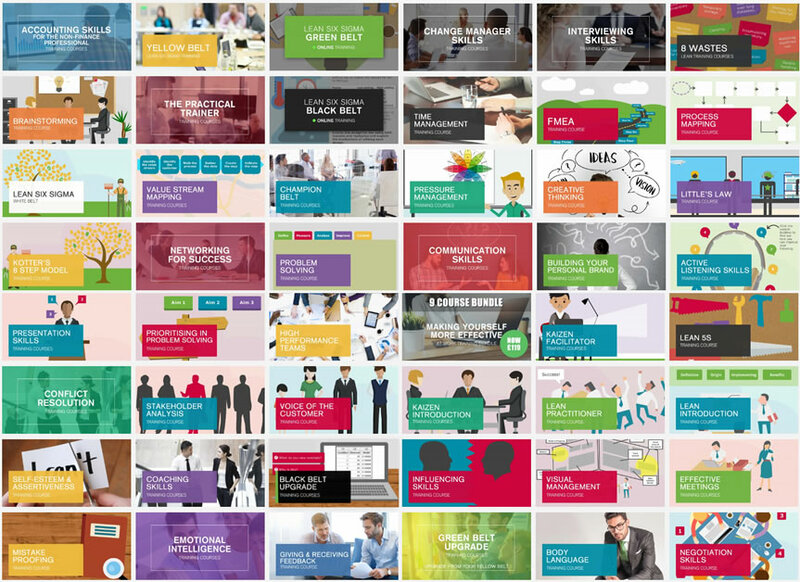 Pick and Mix – You choose which courses you’d like to offer your staff from our library. Staff development – Demonstrate you wish to invest in your staff’s development offer them unlimited training. Learn anywhere – Let your staff pick the courses they wish to take – can be accessed from home or the office. No hidden costs – Fixed annual price means budgeting is easy. Your website – Your staff never need to leave your website or system. Or they can access our system if you don’t have this capability at present. Staff develop, company develops, customers are happier and staff are happier. If you are a large company with an LMS in place, we can integrate with your website. If you don’t offer online training to staff yet we will enable you to do so quickly and easily so your people can be developing tomorrow. Firstly, choose the courses you’re interested in owning for 12 months. We can provide short trial should you wish to assess the content first. To ensure full compatibility, we will provide you with a test file for your System or set you up on ours. All courses are SCORM compliant. After payment we’ll send your requested course to your system or set up your access. Once you’ve loaded the courses onto your system or provided access to ours, your users can start learning. Remember, there are no limits here. We’ve listed some of our most popular courses below, ideal for personal development. If there’s a course you’re interested in which isn’t listed here, please give us a call on 0800 066 3749 to discuss. You can buy any combination and as many courses as you want, starting with 5 courses for 12 months. These prices are for Unlimited use during those 12 months. Once you’ve decided which courses you’d like to load onto your LMS, please call us on 0800 066 3749 (or use our live chat) to discuss your requirements. We will assist you every step of the way, to ensure our courses display on your website as intended.